Good day to you and thanks for dropping by. Hope you are all well. I think my card today stretches the boundaries a bit since it is not the four legged friend that you can actually walk on a lead ... lol! But some people love bees - and we really need to save the bees! As you can see this is the challenge for One Stitch At A Time. I am using Bumblebrella from Stitchy Stamps which you can find here. I was having a clear out about six weeks ago and these papers were about to become a casualty but at the last minute I changed my mind. As soon as I saw the Bumblebrella image I knew these were the perfect addition. 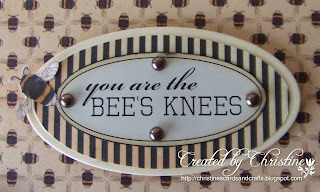 The Bees Knees sentiment was also part of the set and I just cut it down and then used the JustRite dies to cut the striped and the cream matting layers. I fussy cut the butterfly and the two bees from the papers. Some Flax glitter for the bees wings and daisy flower centres and job done. 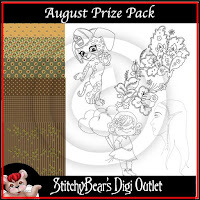 We would love to join us in the challenge and this is the prize you could win. Love your brilliant card, perfect for the request. Really like the papers you have used and the great design. I lobe Bees can't stand Wasps though. A gorgeous card Christine, love the papers and design. Glad you found a use for these beautiful papers, would have been a shame to get rid of them. Perhaps that's why my room is getting a bit overcrowded, I tend to hoard too many things, lol. 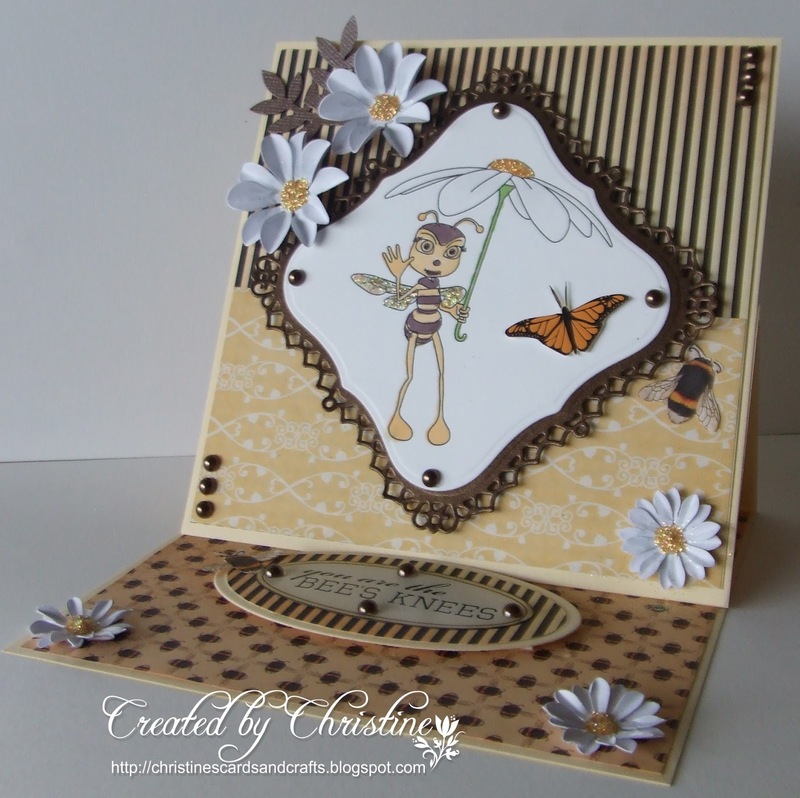 Hi Christine, lovely card, love the sweet image and your design, super papers too. Gorgeous card Christine. I love the cute image, beautiful colours and fabulous detailing too. what very lovely easel card. Great image, and wonderful design, and papers used. Love the colour theme too. 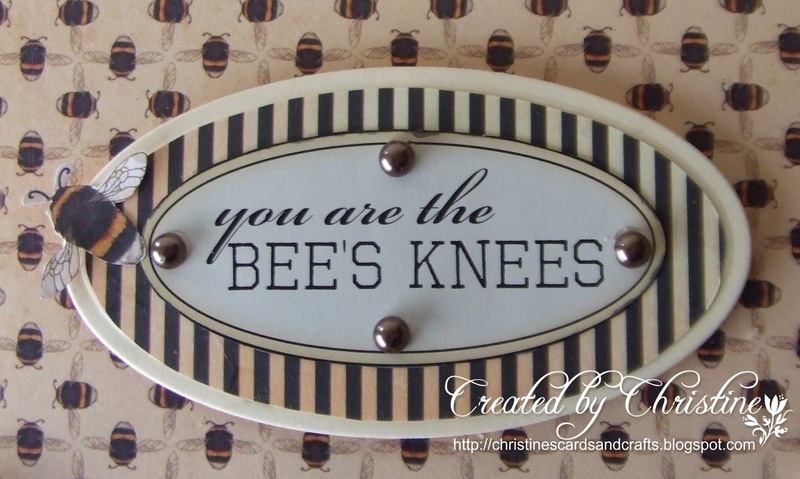 Such a lovely card, that image is so cute and yes we absolutely do need to save our poor bees. Love your cute card. Great colours for a bee. Your card is adorable Christine..love everything about it. Hate to tell you but bees have 6 legs lol! Still a lovely card and great papers.